After more than twenty years of experience, working for companies such as Teiatru, Setrill-Teiatru, Marcel Gros or the CIA. 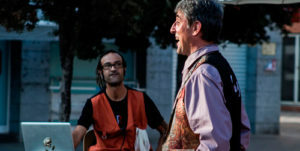 Chapertons, Jordi del Rio creates his own company and starts, a, new solo way. Opens the doors of his particular world and he creates shows for all kinds of audiences, in his original shows, humour, imagination, feelings and interaction with the public are the basis of his creations. Following this line of self-creation, year 2012 releases his first show CLICK! in the Mostra d'Igualada. In the year 2014 premiere GRANDPA TONET . And in April 2016 premiere WHAT A COMEDY! 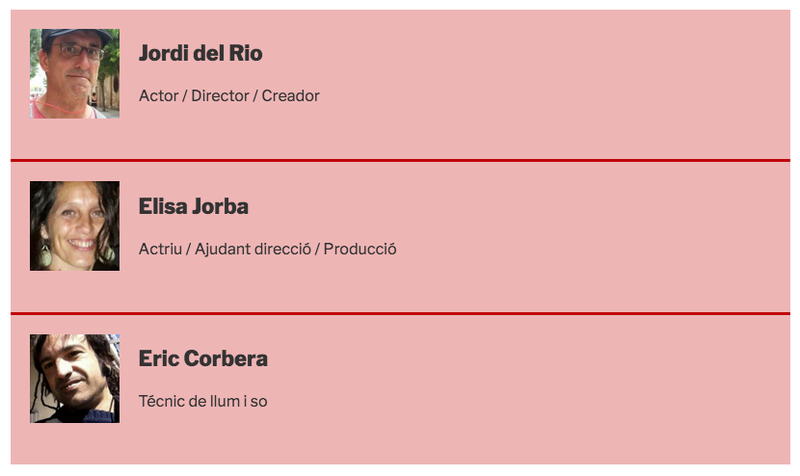 In this new project, Jordi del Rio shares the stage with actress Elisa Jorba. To 2017 premiere LUDUS. Nowadays, Jordi del Rio combines his company with the clown of hospital work with Pallapupas.